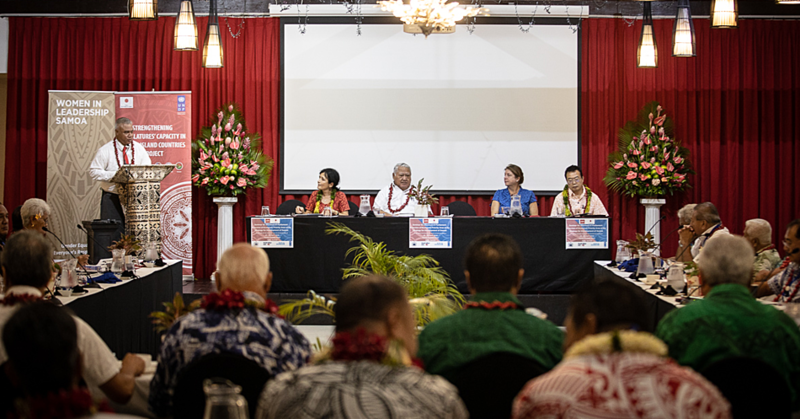 The Ombudsman’s Office hosted the first Samoa Faafafine Association (S.F.A.) and law enforcements guidelines and standards workshop last week. The Samoa Stationery and Books conference room was occupied by representatives from the Ministry of Police, Ministry of Prisons and Corrections, and the S.F.A. for the two-day workshop, which concluded on Thursday. The Ombudsman or National Human Rights Institution (N.H.R.I.) Samoa in support of the important work of Law Enforcement Institutions in Samoa is promoting the development of complementary Law Enforcement Guidelines and Standards that is inclusive of all Samoan citizens including marginalised communities. Director of Human Rights Division of the Ombudsman’s Office, Loukinikini Vili told the Samoa Observer the sole purpose of such guidelines and standards is to ensure Human Rights is at the core of Samoa Law Enforcements work in the protection of all Samoan people. The workshop was to build awareness among Law Enforcement Institutions of the S.F.A. Community in the context of Human Rights, Gender Based Violence and Sexual Reproductive Health and Rights. “It also aims to instigate a discussion between S.F.A. and Law Enforcement institutions on the gaps in Social and Law Enforcement Protection measures that continues to marginalise the S.F.A. Community. “Additionally it will also look at developing a roadmap for the N.H.R.I. Samoa development of Law Enforcement Guidelines and standards that is inclusive of the S.F.A. community. “And also encourage systems that foster positive relations between Law Enforcement Institutions and S.F.A. as a marginalised community,” says their programme. Developing Law Enforcement Guidelines and Standards that is inclusive of the S.F.A. community are all necessary and positive steps towards realising a just and peaceful society. 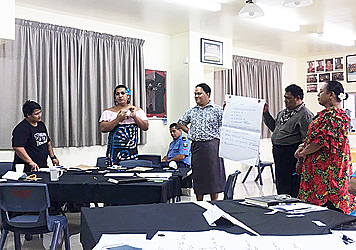 Ministry of Police, Superintendent Auapa’au Logoitino Filipo, who oversees General Policing and Police Outpost, acknowledged the importance of the workshop. “In my own perspective as a police officer, we treat everyone equally under the law, we respect their human rights. We don’t discriminate, as the law protects everyone,” said Auapa’au. “The issues that were raised by our counterparts; we were not aware of it and we cannot address it, unless they come forward and file an official statement with the Police. He said the police professional standards unit deals with such behaviour if they are being treated unfairly, said the Police Superintendent. “However, some of the concepts raised in the workshop is new to law enforcement such as giving these members of the community a choice of who can conduct a body search is not being practised. 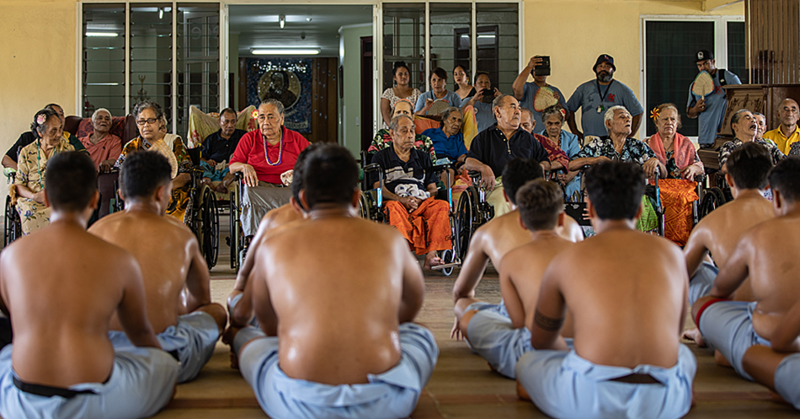 “This is because it also touches on the core fabric of our Christian and cultural beliefs between a male and a female and add something again,” said Auapa’au.